Comics Alliance had this posted in the new Best Art Ever This Week feature and I think I just felt my head explode. 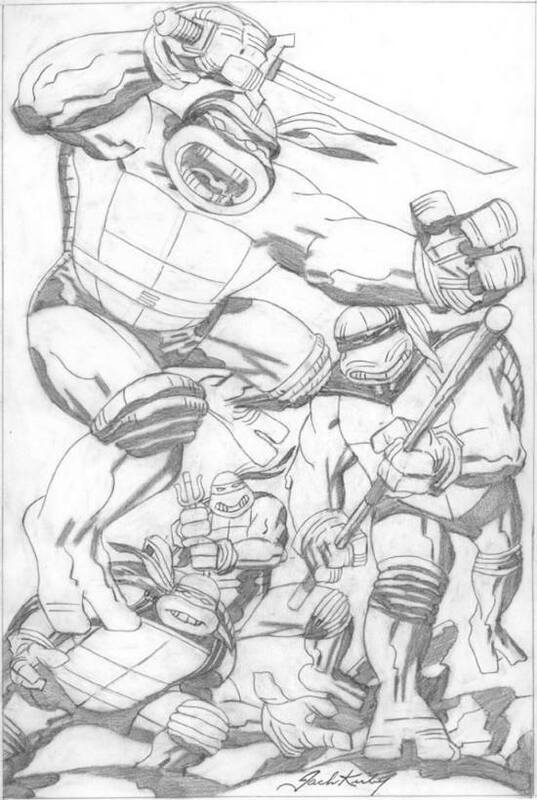 How did Jack Kirby wind up drawing the Teenage Mutant Ninja Turtles? I know that Kevin Eastman and Peter Laird were definitely Kirby fans. In one issue, the Turtles wind up going on an adventure with a Kirby-based stand-in, helping him recover his magic. But this is just amazing. You can read more about it over at the Kirby Museum’s Kirby Dynamics blog. This entry was posted in Uncategorized and tagged jack kirby, kevin eastman, ninja turtles, peter laird, teenage mutant ninja turtles by Chris. Bookmark the permalink.